1) Our favorite programs continue in autumn. Feed your mind by befriending a Macaw at Meet the Birds and refining your hand-eye coordination at juggling. Feed your soul with world-class performances at Piano in the Park and heartfelt feeling at Word for Word Poetry. In fact, we think these activities are even better in the fall because the crowds are smaller! 2) Fencing lessons return to the park. Now that the cooler weather has returned, parkgoers can don fencing gear without melting in the heat! A gaggle of fencers masters the basics on the Library Terrace. 3) Perusing a fashion magazine in the Reading Room as the fall styles come to life around us. 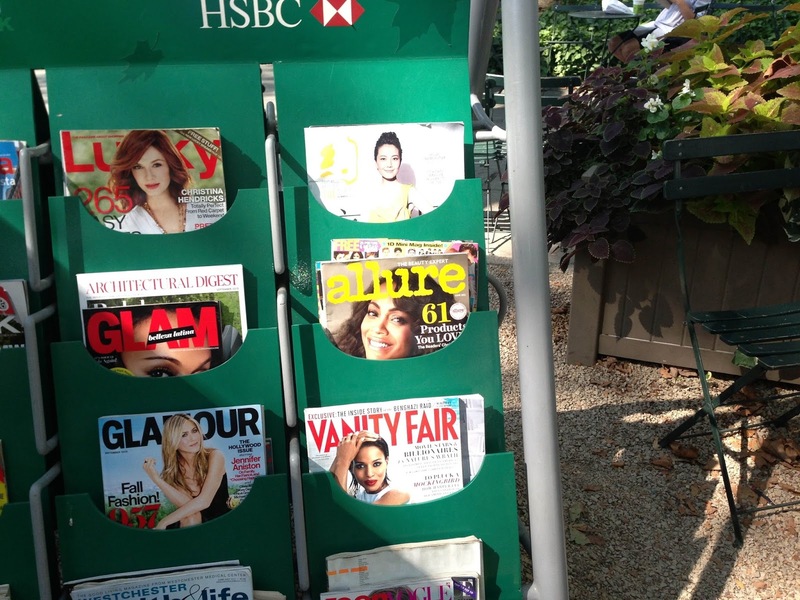 The Reading Room boasts a wide variety of current issues of fashion magazines. 4) Enjoying an early-morning tea from 'wichcraft, the silence broken only by dry leaves shimmying across the flagstones. 5) The re-opening of the fire pit at the Southwest Porch. What is better than good company and good drinks around a crackling fire? We also have a brand new slew of heaters to keep you warm! There aren't many places in New York City where you can cozy up next to a rustic fire pit in an Adirondack chair. 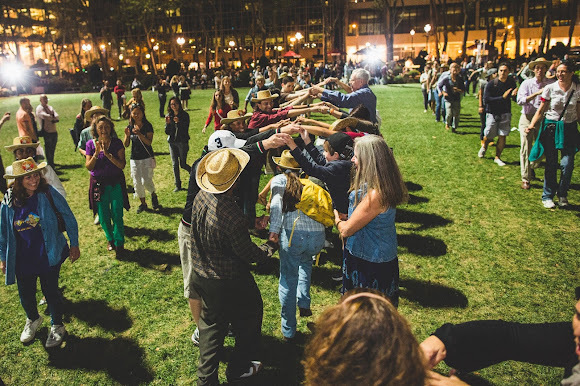 6) There are two upcoming evenings of Bryant Park Square Dance. What screams autumn louder than flannel shirts and hay bales? Bryant Park square dancers do the Virginia Reel at the September 9th event. We could go on, but we limited ourselves to six reasons. We want to know what you love most about Bryant Park in the fall! Tell us in the comments section below.